Helpdesk software providers understand that businesses are prioritizing the customer experience, so they’re offering more features to improve and automate many of the jobs customer support teams find tedious or time consuming. These jobs are often left on the backburner and don’t get the attention they deserve, which ultimately leads to a poor customer experience. In this trust economy that relies significantly on the steady evolution of business technology and software, businesses cannot survive unless they’re using that technology to respond to their customers in a timely and personalized manner. Chatbots help customer support teams eliminate time on the phone by automating the initial contact between a business and the customer. They rely on SMS messaging that offers immediate responses, freeing up phone lines and allowing the customer to help themselves. Customers expect fast service now; they’re looking for a response within the first hour on reaching out to a business. Most businesses are unable to, or are unaware they need to, meet this requirement. Chatbots are a customizable option that can also be personalized to the customer’s needs by focusing on specific keywords, and then either offering the customer guidance and directing the customer to another source or agent that can help. Think of chatbots as your business’ first line of defense in their customer service army. They can provide customers a quick and easy way to get in touch with support, offer self-service options for customers, or assign the ticket to an agent if the problem is a bit more complex. Below are the five best ticketing system software providers with powerful chatbots, and why we think so. Freshchat’s unique chatbots jump out for a couple reasons. The first is that chats are automatically routed to specific agents of the customer support team. A pre-chat form can then be used to trigger workflow automations based on customer information. This is important because it personalizes the experience instead of making the customer feel like they’re talking to a computer. It also works in real time, so certain keywords can’t potentially trigger outdated or generalized information. Freshchat also offers monthly reports on specific chat metrics that can also be indicative of what’s working and what’s not. If the chatbots are coming off as too robotic, the reports will help point that out. If they’re finding tons of success with certain keywords, the reports will allow the business to take advantage of that. For these reasons, Freshchat is a good choice because they do everything a support ticket software provider should do with their chatbots. If chatbots aren’t personalized enough, it could make a business come off as not wanting to help, and leaving it up to the computers to do the work for them. Customer service needs to remain personal. Inserting the two lines of code is interesting because it helps remove an extra step by directly placing the live chat on the website. Businesses can also add a float button to keep the live chat from getting in the way of whatever a customer is looking at. There are three advanced features in Zoho Desk’s live chat that aren’t typically showcased in other helpdesk software. The first is allowing customers to see when an agent is typing. The second is being able to send files to customers. The third is being able to share links. These all improve customer experience significantly by making the conversation much more personal and allows for better service. These features should all be considered when purchasing helpdesk ticketing software. Zoho Desk is clearly looking to improve customer experience by making their features user and customer friendly. 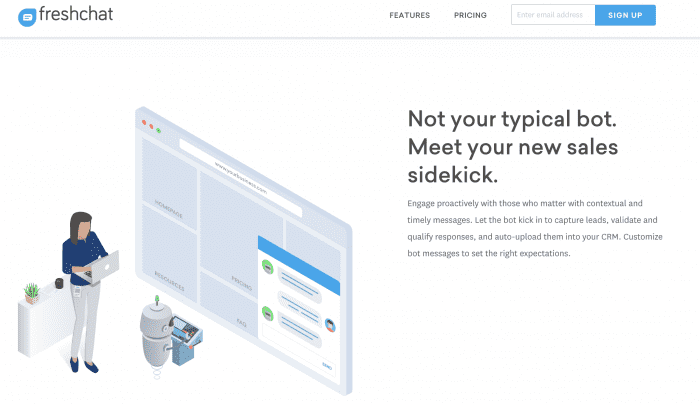 Zendesk Chat has a chatbot helps customers who are stuck on the checkout page, offering customers suggestions on similar products or asking if they need help. This is useful because buying products online is a lonely process where making a final decision is entirely up to the customer. There’s no pressure to finalize the purchase. When purchasing a product in the store itself, a salesperson, ideally, is there to guide customers through every step of the purchase. They are available to answer any and all questions about the product and can often help finalize the purchase at a register. I know when I go into a store and don’t receive this kind of attention, I’m more likely to second guess whether or not I actually need to purchase whatever product I’m interested in buying. When someone is there every step of the way, I personally feel obligated to buy the product, or I have a significantly harder time saying no. Anytime the customer is left alone during the sales process, the odds of completing the sale go down. 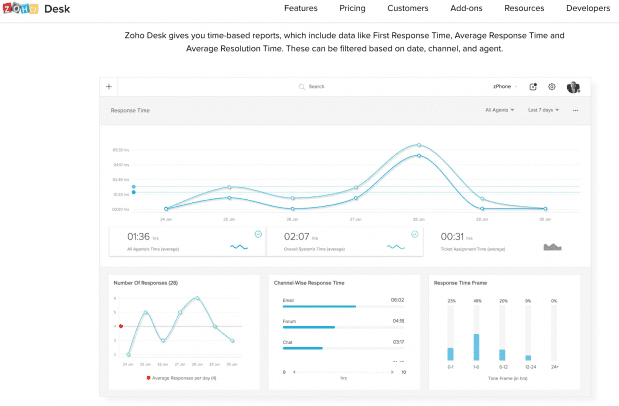 Customer experience is trending for Zendesk, so seeing them turn features that already exist into more customer-friendly is a big step in the right direction. Seeing Salesforce on this list should come to no surprise to anyone interested in CRM software. Salesforce continues to be in a universe of their own when it comes to developing all kinds of business software and technology. It’s natural to assume Salesforce Service Cloud offers some of the best built-in, customizable chatbots. 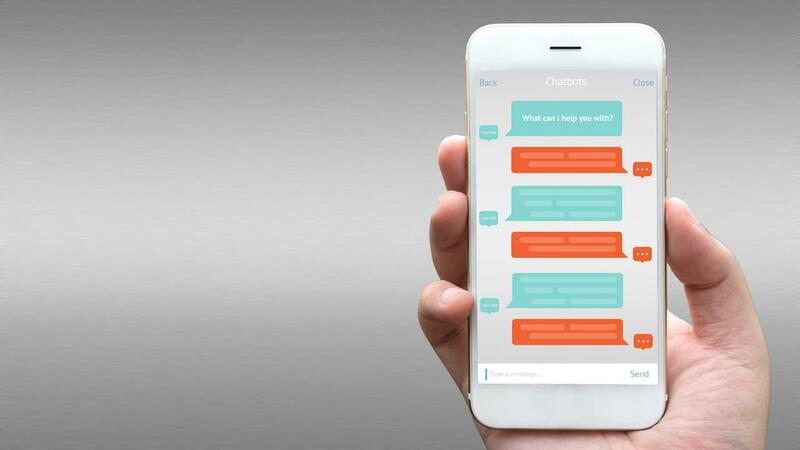 One feature that Salesforce’s customizable chatbots offer businesses is unique for a number of reasons. 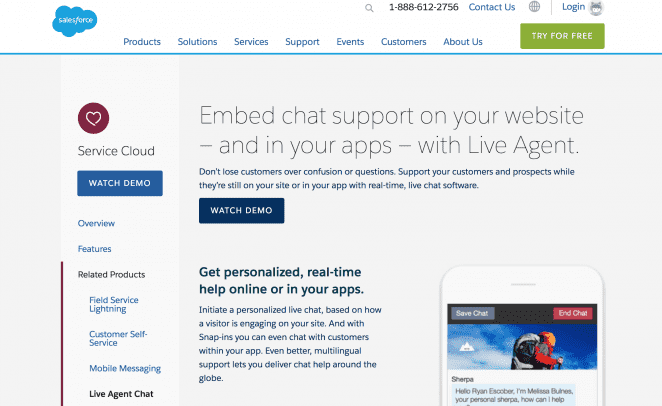 Salesforce says that their bots can “initiate a personalized live chat, based on how a visitor is engaging on your site.” And with what Salesforce calls “Snap-ins,” your business can offer chatbots directly inside your smartphone app. First, the live chat is personalized, meaning the chatbot is already using customer data that matches up with the customer to significantly improve the odds of a positive experience. Second, being able to chat with customers within your app is a great way of extending the limits of mobility. 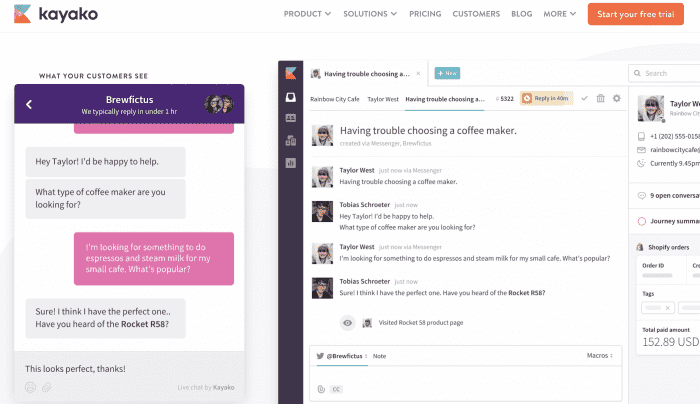 Now customers and support teams can chat anywhere. In a time when customers are always on their phones, and even prefer shopping on their phones, this kind of capability is crucial. Finally, they have an app, which isn’t revolutionary by any means, but it’s an easy way to attract customers on the go and an absolute essential at this point. Overall, Salesforce Service Cloud is looking to improve customer experience in any way possible and what they do is often replicated by other businesses. They’re always an option to consider. Kayako also offers customers a mobile chatbot like Salesforce that can keep customers and sales teams connected anywhere in the world. Kayako is taking what Salesforce has, and growing it into something much bigger. First, “customers can start conversations at any time, even when your team isn’t online.” This is huge because chatbots are meant to make customer service more accessible, and people’s issues exist outside the 9-5 work day. Also, if you need to come back to the chatbot at another time, the conversation will pick up right where it left off with the chatbot so there’s no need to start over again. The service is flexible to fit around the customer’s life, instead of forcing the customer to call during specific hours. Kayako’s chatbots are also capable of talking to multiple people all at the same time, personalizing the conversations based on customizable customer profiles, and keep track of them all in real time, which means every customer will receive the right response immediately. Kayako’s chatbots allow customers to reach out for help when they need it, and when it works best for them. Agents can stay more organized with customer profiles, and can see each interaction the bots are having in-real time. 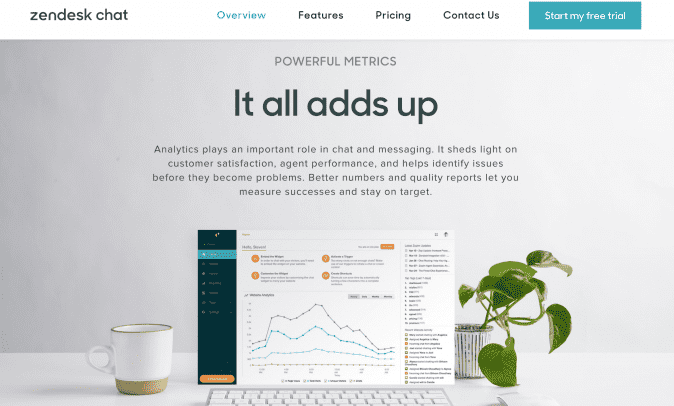 Helpdesk CRM providers for SMBs with built-in, customizable chatbots are becoming more popular in order to keep up with the current business trend of improving customer experience. These five providers are all unique in that they take from technology that already exists and turn it into something new, all with the understanding that customers have higher expectations than they used to. Customers are more knowledgeable and want to take matters into their own hands because being stuck on the phone with a company over a simple issue is a hassle for everyone. Customizable, accessible chatbots that are built into helpdesk CRM software helps eliminate this issue almost entirely. More adaptive chatbots are worthy of any business’ consideration if customer experience is a top priority. 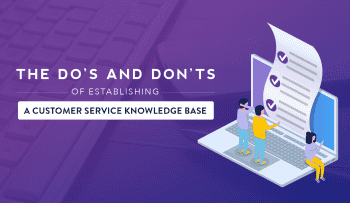 Be sure to check out our helpdesk software buyer’s guide, where we highlight what helpdesk providers should be offering their customers.